that because I'm not dressed in my finest clothes. out the window, I realized that there was only sill and no window. is officially declared a Pretty Day. Oops! 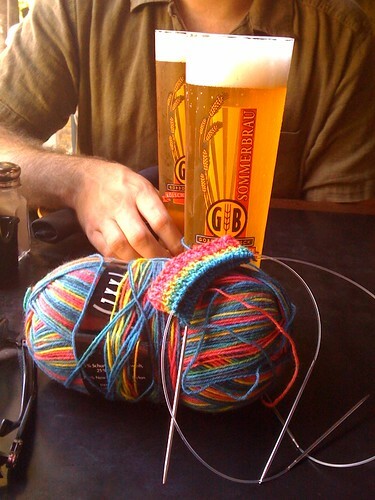 The beer and the yarn look yummy, though--and hope you got your purse back!